When you upload a cinemagraph to your Flixel gallery, a unique embed code is generated so you can easily share it on websites. An embed view is calculated every time one of your embedded cinemagraphs loads on a web page, excluding flixel.com. Business plans include 100,000 embed views per month and custom plans are available if you need more. Your embed count will reset to 0 every 31 days. You will receive an email notification if and when you reach 75% of your monthly embed allowance to give you the opportunity to upgrade if needed. You will receive a second email notification if you reach 100% of your monthly embed allowance. Sign in to your account on flixel.com or Cinemagraph Pro to monitor your embed usage. Select Account Settings under the profile tab to view your embed usage. Go to the Account & License window under the Cinemagraph Pro menu or use the keyboard shortcut ⌥⌘A (Option-Command-A). Select Account Settings and click on the the Plan tab (default) to view your embed usage and reset date. Select the settings icon under the profile tab to access your account settings. 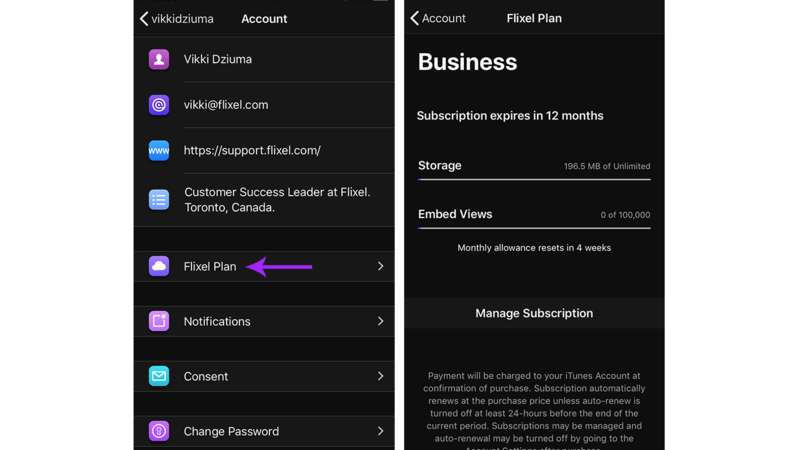 Select Flixel Plan to view your embed count and reset date. 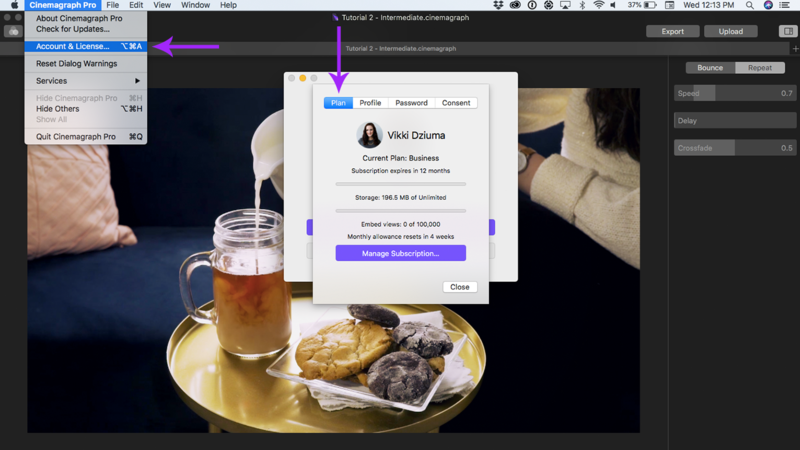 Check out Managing Embed Views & Measuring Website Traffic to learn more about embedding cinemagraphs.